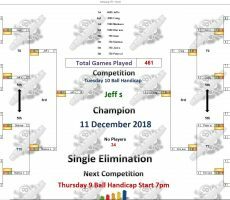 TUESDAY 10 BALL – 11th DECEMBER : JEFF WINS. 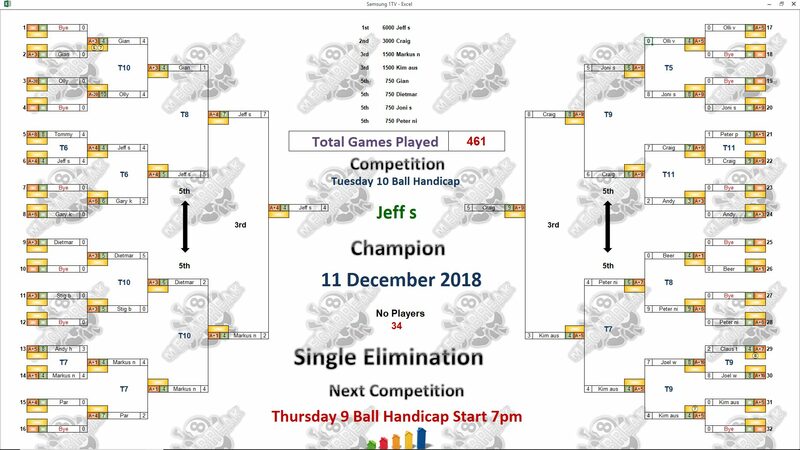 Our 10 Ball Champion for this week is Jeff Schmitt from The USA. 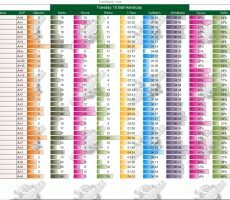 He was at the top of his game all evening, winning seven consecutive matches without defeat to claim victory and pocket the 1st Prize of 6000 baht. 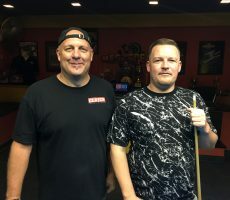 From a tremendous turn out of 34 players from 16 different countries, he defeated England’s Craig Jones in the final after both players agreed to play a shorter race than scheduled (4-9). Craig also played very well to reach the final undefeated, and took home 3000 baht as Runner-Up. 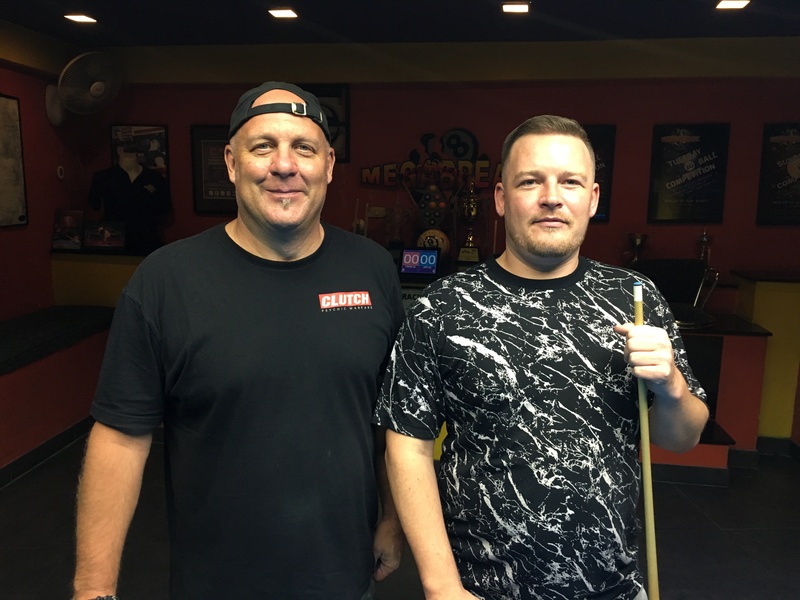 Kim Muller from Australia and Markus Nolberczak from Germany both did well to reach the semi-finals, collecting 1500 baht each. 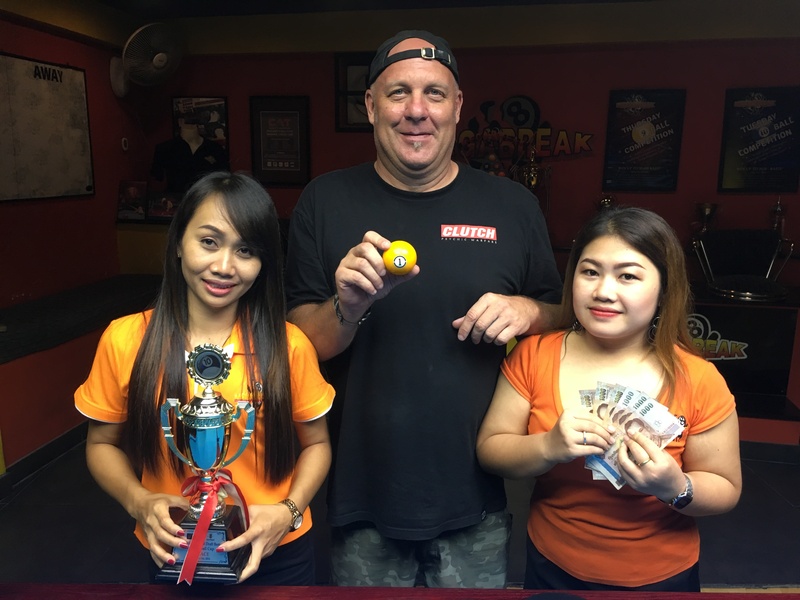 Champion : Jeff (A+4) – 6000 baht. 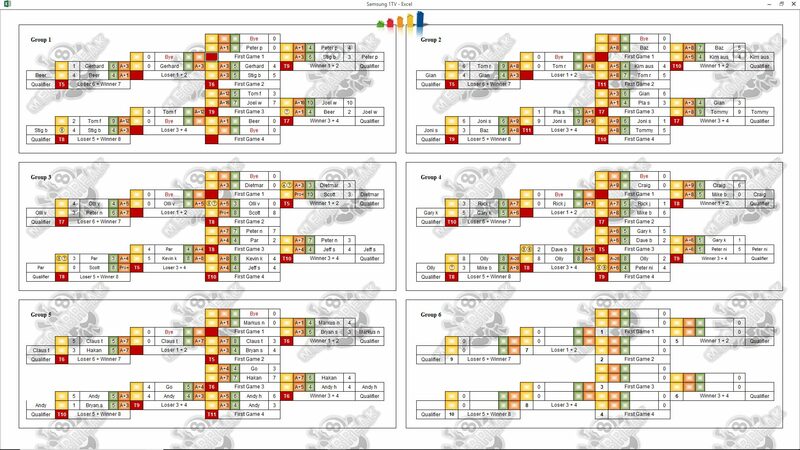 Semi-finals : Kim (A+5) and Markus (A+1) – 1500 baht each. 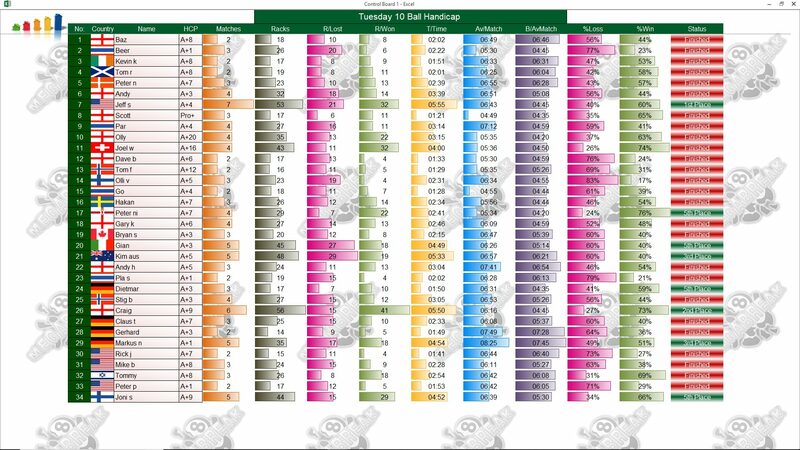 Quarter-finals : Joni Savolainen (A+9), Peter Simpson (A+7), Dietmar Ptak (A+3) and Gian Cabella (A+3) – 500 baht each. The Player Auction Prize Pot totalled 30900 baht and was won by Jeff’s friend Håkan Ekberg. He bought our winner for 1000 baht, and they shared the 1st Payout of 8800. 1st : Hakan (Jeff) – 8800 baht. 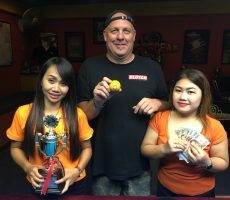 2nd : Mike B (Craig) – 6600 baht. 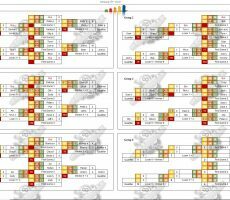 Equal 3rd : Me (Kim) and Tommy (Markus) – 3400 baht each. Equal 5th : Olly (Joni, Dietmar and Gian) and Dave Brooks (Peter) – 1800 baht each.